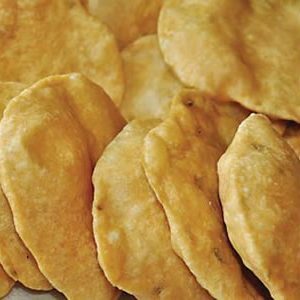 A puri or poori is an unleavened bread made from a dough of atta, water and salt by rolling it out into discs of approximately the size of palm and deep frying it in ghee or vegetable oil. Traditionally served in India, Pakistan, Bangladesh, Nepal, Malaysia, and Sri Lanka it is best eaten if it is served immediately. This ensures maximum taste and also delights guests with a puffed up version which gradually sinks as it releases hot air. Torn off pieces are folded and used to scoop beans/rice/etc which are too small or messy to be eaten with fingers alone. Puri is often served with halwa, potato masala or with korma, although in coastal Orissa, it is also eaten with dal (lentils). A variant of the puri is the batura which is thrice as big as a regular puri and thus a single batura, served with chole, often constitutes a full meal. 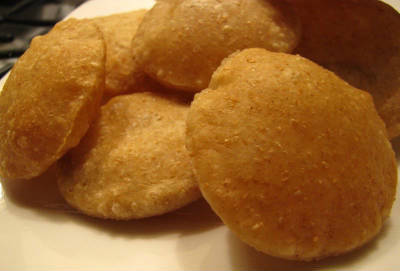 Another variant of the puri popular in the eastern states of West Bengal and Orissa is the Luchi. 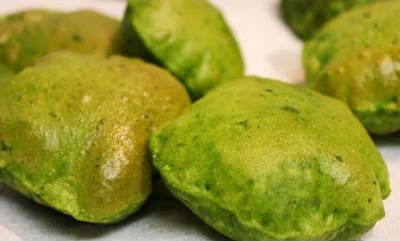 The dough for Luchi is prepared with Maida (White Flour) rather than whole wheat flour. Ajwain seeds are sometimes added to the dough. 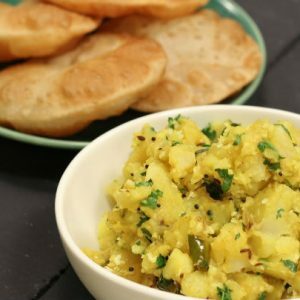 We have 28 Poori recipes in this category. 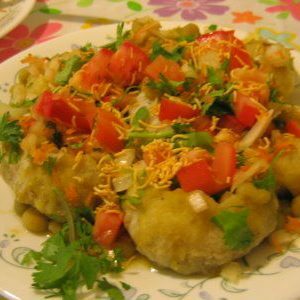 Here are the most popular Poori recipes from Awesome Cuisine ever.